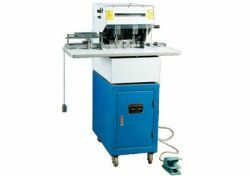 Automatic Drilling Machine manufacturers, Automatic Drilling Machine exporters, Automatic Drilling Machine suppliers, Book Binding Machine OEM service. 1. 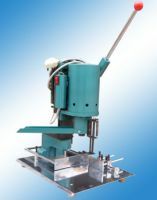 DK-2 automatic minitype drilling machine adopts foreign advanced technology. 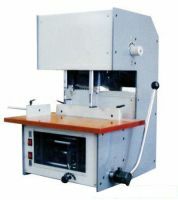 Part of technology exceeds the international level of this type of machine. 1. It can choose the corresponding speed according to thickness of paper for its frequency transformer. 2. The quantity of damaged headpieces reduces. 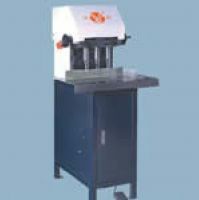 For adopting foreign electric elements the dependability of machine improves. 3. It has compact structure, the small bulk and little weight. There is the universal pulley in the base in order to move the machine. At the same time the machine has high efficiency, simple operation, little trouble, steady quality and safe capability. 4. It is the best equipment of drilling and binding for all kinds of account book paper, binding factories and giftcompanies.